StoryBundle offers themed packages of Indie books for a reader-defined payment of as little as $4 (an average of $10). I’ve written about StoryBundle packages several times previously, including this introduction. 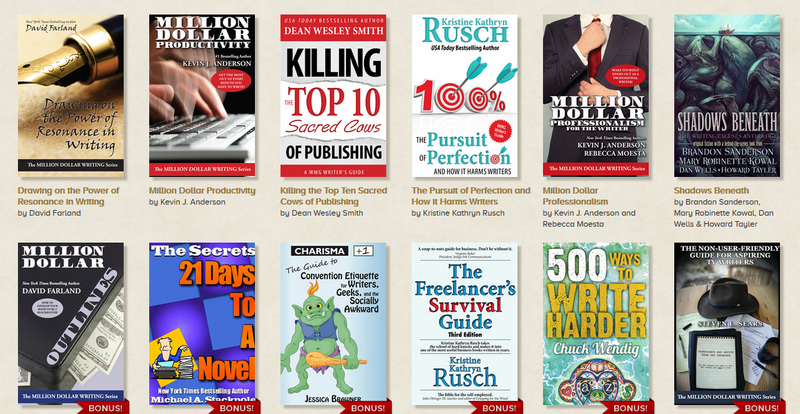 Today StoryBundle has a package going specifically for writers. Currently StoryBundle has two packages going – a mystery/thriller package which runs out in 4 days time, and a special collection put together to celebrate NaNoWriMo. But you don’t have to participate in NaNo this year to take advantage of StoryBundle’s NaNoWriMo Writing Tools Bundle – the bundle is available in all digital formats, and you can download worldwide. If you pay over the $15 mark, an additional six books will be added as bonuses. The NaNoWriMo Writing Tools Bundle expires in 53 days time, so you have plenty of time to take advantage of these writing craft books, and read some too.